Hey y'all! It's Amy from Step into 2nd Grade! Is anyone getting ready for next year yet??!! Well, I'm definitely not at this very second, but I did do quite a bit of revamping before I left for the summer. We are very fortunate at my school because we get to leave our bulletin boards and walls in tact over the summer. The cleaning crews move furniture, but they don't touch our walls if we don't want them to. Such a blessing, let me tell you! This is the back of my classroom area...I store all of my teacher resources, craft supplies, and junk in this area! 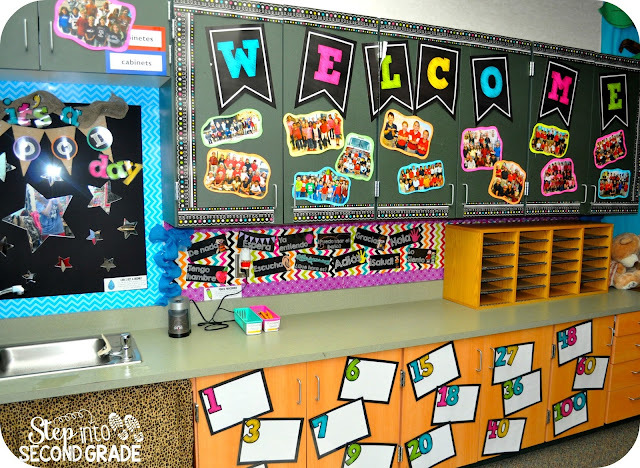 My students use this area for washing hands, getting drinks, picking up their graded papers, and getting sharpened pencils! The blank number signs are where we will keep track of our AR points. Students wills sign their name when they reach each AR milestone! I bought these adhesive star mirrors from Amazon and I love how they turned out! 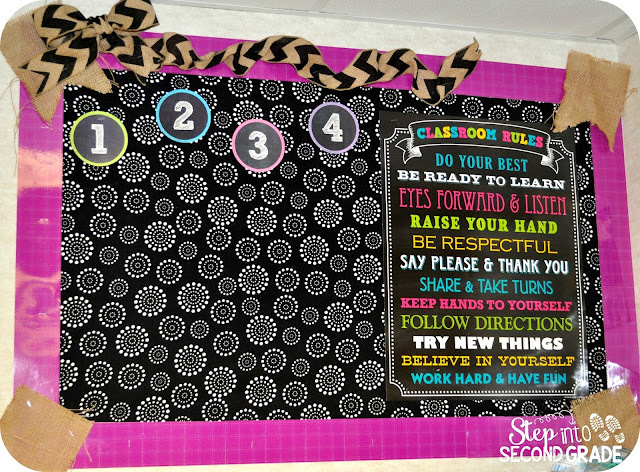 I used burlap banners and ribbon all over my classroom to soften things up! I wanted to add a little fun above my door. Previously I had a ribbon banner, but it was soooo dusty that I decided to take it down. I just made random arrows out of colored paper because I didn't center the words correctly, ha! This is something new that I am going to try out for next year. Each grading period I am going to display students who have displayed good citizenship. I will post their names or pictures under the 1, 2, 3, 4 (for our 4 grading periods). They love seeing their pictures all over the place! 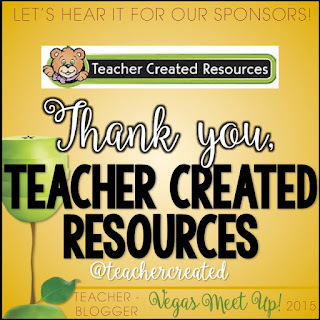 If you noticed, I used a lot of goodies from Teacher Created Resources! 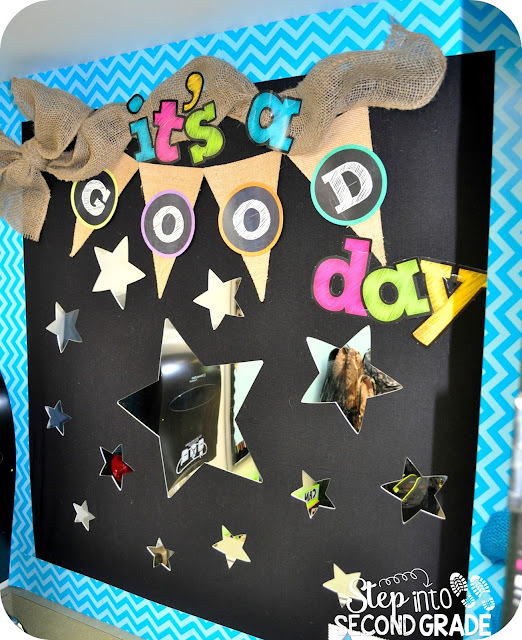 I just love their Chalkboard Brights collection! If you are coming to Vegas you may be the lucky winner of one of their gift baskets! They are one of generous sponsors!!! And, do you remember our Instagram Scavenger Hunt from last year??!! 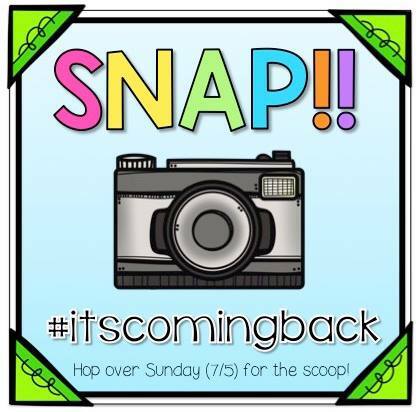 Well, be sure to check back on SUNDAY (June 5th) to get all the details for this year! !